We put all we can into our work. When our couples go out of their way to give us feedback - we LOVE it! Please meet some of clients / friends. We love hearing from them! From start to finish, working with AJ was wonderful, he went above and beyond from enduring the cold to making sure we got the pictures we wanted when I realized I'd forgotten my bouquet after supper. Our engagement session was great and gave us honestly the first good photos we have of us as a couple, they are stunning. And it being a part of the package meant I couldn't tell myself that I should avoid an engagement shoot to save money. I'm so glad we did it. On the wedding day itself AJ and Trevor arrived and immediately got to organizing us and were lovely to chat with while they photographed us getting ready. It's kind of nice having someone with insight into the inner workings of weddings around! They were very professional and kept us organized through the whirlwind of our wedding day and took every request we had to heart and made sure we got the images we were looking for. The photos are absolutely gorgeous and I can't help grinning when I look at them. I will never regret not investing in our photography, or my choice in hiring AJ. The memories are 100% worth it and more, and I couldn't have asked for a more attentive and just overall awesome photographer and awesome people to be there with us. 10/10, would recommend! Thank you so much for your help making our big day so wonderful AJ! We had a great experience working with AJ! He wowed us from the start with an amazing engagement/ family shoot where he was able to get some amazing shots that included 2 grumpy toddlers. He was super flexible, traveling hundreds of kilometers to accommodate our out of town wedding and captured all the moments of the day that the bride and groom miss. From the first meeting to sharing our most intimate wedding moments, AJ & Trevor - what a blessing! AJ was genuinely interested in getting to know us & captured our engagement & our wedding day in the most spectacular images. Thank you so much for being a part of our story! AJ was the ultimate professional. He was able to capture the emotions and beauty of the day all while keeping to a very tight timeline that we had at our ceremony/pictures venue. His interaction with our wedding party and family made for a very smooth experience, allowing more time for our pictures to be taken. His second shooter, Victoria, worked with the guys and also gave us great direction. The finished product was done and ready for review in under 3 weeks. AJ was lovely to work with for both our engagement photos and for our wedding. We were pretty last minute in organizing engagement photos (4 days before the wedding!) but AJ was really easy to work with and found the time to work with our busy schedule. The engagement shoot was really fun, we just walked (and biked!) around the exchange district where AJ found us lots of great locations for the photos. For our wedding we had only booked with AJ for 5 hours but we managed to get through our getting ready, family and couple photos in the 2 hours before the ceremony thank s to AJ being quick and efficient. At the wedding he worked with Trevor as a second shooter and together they managed to get some beautiful shots with really nice lighting. Overall AJ (and Trevor!) were great to work with. Really organized and professional and kept the photo taking process nice and smooth with some great final results. After the wedding AJ got our photos back to us in 3 weeks, which was awesome. We really like the format of the website where the gallery is located. It's easy to scroll through all the photos and there are no big watermarks in the way. Overall AJ was great to work with, easy to get ahold of, and really willing to work with us to make sure we got the photos we wanted. We had AJ do photos for our wedding which included an engagement session. The whole experience was totally amazing. AJ made us feel so comfortable through all the photos and was such a pleasure to work with. He is AMAZING at using the sunlight in the photos. We are getting our photos back tonight and we are so unbelievably excited to see them! We highly recommend AJ!! If you want your big day to capture all the love, excitement, and joy a wedding will bring- This vendor will catch every moment. When I received my final pictures there was not one that I didn't love!!! They were absolutely beautiful and I am very critical if a picture does all of its justice. The two guys that worked with us were highly intelligent with how we should position ourselves and WOW- there creativity was out of this world. I am telling you if I hear of anyone who needs photography done, I will jump at telling them about AJ and you will NOT be disappointed. I am so impressed and everyone that I have shown can't believe the work of art AJ has created. My fiancé and I are loving working with AJ. We just had our engagement photos done and I can't wait for our wedding photos. AJ is super friendly and fun to work with, and he even got my fiancé, a man who hates photos, to look natural, happy, and great. AJ was professional, respectful & efficient but more than that he was personable. We felt comfortable & relaxed. I couldn't be happier with our photos & with my choice in using AJ to capture our big day. Aj was amazing from our engagement pictures to our meetings to our wedding day and beyond even now! He was a constant in our wedding planning process and made our wedding day so relaxing! Aj has a true passion and was smiling the entire day along with us! My brother hates photos and even AJ made him smile! I can't say enough about AJ and our Wedding won't be the end of our relationship! We plan to have future photo shoots with AJ as well! We first worked with AJ last year for our engagement photos. My husband isn't the biggest fan of having his picture taken, but AJ killed those nerves almost immediately. As we moved on further through our engagement shoot he had us talking and laughing, having such a good time that the hour flew by. After receiving our engagement photos we knew then that we were going to book with AJ for our wedding as well. Besides having a blast, our photos were awesome! Right from the beginning our experience with AJ was excellent. I was looking for a photographer that would be willing to do a short but sweet photo shoot of our wedding day. I had some difficulties finding one that would commit to only a few hours and not the whole day. I came across AJ Enns on Wedding Wire and shot him off a email. He was accommodating and professional. When my partner and I met with him we both agreed we wanted him to shoot our special day. The day we got married he brought home his new born son and fought through a rain storm to be there for us. AJ and Trevor did such a great job and I love my pictures. They made us feel very at ease and we had fun! Check out his work!! Highly recommend him. My husband and I had both our engagement photos and wedding photos done by AJ Enns Photography and we would recommend their services to anyone! They greatly exceeded our expectations, our images are amazing, and the time to receive our edited images was extremely quick! Both AJ and his assistant are true professionals with an obvious passion for what they do. Many of our guests have mentioned to us what a fantastic job they did. We could not be happier with our decision to have AJ photograph our wedding day! Aj has been one of our saving graces in regards to wedding planning, we lucked out having him do out engagement photo's. We were more than pleasantly surprised with how much we loved working with him. He made what could have been a very awkward situation so comfortable and we could not be more happy with our engagement photos. Since we are planning our wedding in Jamaica and loved Aj so much we asked him to come along with us to our destination wedding and we are so excited to work with him again! He would be my top pick if anyone is looking to hire him! First of all, I cannot thank AJ and Trevor enough for the job they did on our wedding day. I have been to a few wedding since ours and I have seen the photographers at those events at work and AJ and Trevor were outstanding in comparison. AJ and Trevor came out to Calgary to shoot our wedding in May of 2016. I met with them briefly the night before the wedding to go over the next days events and right away I was very confident it was going to go off without a hitch. The quality of the photos we received back were excellent and I can honestly say that anyone who works with AJ will be very pleased. The guys did a first class job and on what can be a pretty stressful day they helped keep everyone smiling and laughing. We had a great wedding day and AJ and Trevor played a big part in that. We had our engagement photos taken with Aj and his finace Kathy, We love them as well as our family and friends. They even brought my mom to tears. We had them taken at Assiniboine Park were we trekked through the snow at -30 Thank you for enduring the cold temperature while making us feel comfortable and making it a fun experience, We would highly recommend them for engagement or wedding photos. We had our engagement photos done with AJ and Kathy and absolutely loved them! As a wedding photographer I was a little worried as I'm usually the one behind the camera. My fiance and I both felt so comfortable and left feeling like we had been long time friends. They were also very accommodating on any ideas I wanted to try out! Thanks guys for making our first photography experience great! My fiance and I chose to take our engagement photos at a dance studio, using circus apparatuses. AJ & Kathy made the best of a very unusual venue with crazy lighting, and managed to get some gorgeous, unique photos. They were also great with my fiance, who is super uncomfortable in front of the camera. It was a great experience! Aj and Kathy were awesome. We didn't have the greatest weather and they made the experience a lot of fun considering the cold windy day. My fiancé and myself are not picture people and we had a blast with these 2 photographers. Aj showed a lot of excitement when taking the photos which made it very comfortable. I would recommend him and Kathy to any one getting married. Thanks Aj and Kathy !!! There are so many great things to say about AJ and Kathy! We did our engagement photos with them and the results are amazing! During the shoot they were so wonderful to work with! They really try to get a feel for who you are as a couple and work with you! The entire experience was so comfortable and fun. They really made the whole thing so natural feeling! I'd recommend him to anyone in a second! We had our engagement photos done by AJ and we're thrilled with the results. This man is an extremely talented photographer and a fun, easy going individual which made the session fantastic. I brought my motorcycle and he was enthusiastic to include it as a prop. I will definitely be utilizing AJ again for all my photographer needs. Cheers. Just received a few of our engagement photos and we both absolutely love them! AJ and Kathy were wonderful to work with and the photos are proof of how passionate they are about their work. Hoping he can shoot our wedding as well! I would HIGHLY recommend him to anyone looking for a photographer! AJ there is not enough room to say all the wonderful things I would like to about our experience with you. We are so very happy with all of our engagement photos, you were able to make both of us feel comfortable we forgot there was a camera. We could never thank you enough for making the experience so great and for giving us beautiful memories and your work truly speaks for itself ! AJ and Kathy are awesome! They have great ideas and make you feel really comfortable. They have great personalities and are really open to any ideas you may have. I highly recommend them for your wedding!! We received some amazing photos back and are truly grateful! We had our wedding photos done by AJ just a few short weeks ago and I could not be happier with them! The quality of the photos is unbelievable and I had several guests at the wedding comment on what a great job he was doing. That says a lot that your own guests notice your photographer going above and beyond to capture your special day. You won’t be disappointed! We had our engagement pictures done by AJ. He did an amazing job and we had so much fun.! He made us feel relaxed and comfortable. We love our pictures and it was great working with you and Kathy! Thanks so much!! We would definitely recommend you to anyone looking for a engagement/wedding photographer! My fiancé and I just had our engagement pictures done by AJ and we couldn’t be happier! It was a very cold evening but that didn’t stop AJ and Kathy from providing us with a great experience and wonderful pictures ! We are so happy we decided to get pictures taken. Thanks again, we love them! It was a pleasure having AJ take our engagement and wedding photos.He made us feel instantly comfortable and it is easy to see how passionate he is about what he does. We came away with beautiful photos that captured the details of our day and the people we shared it with. I was the third of my friends to hire AJ (his photos are that great)so believe me when I say – you will not be disappointed. My fiance and I just got our engagement photos back and we LOVE them. They are perfect in every way and we could not have asked for anything more. Thank you AJ and Kathy for a fun day and great photos! We got our engagement pictures taken by AJ Enns this summer and were blown away by the results. He is VERY talented and was amazing to work with. He made us feel very comfortable and we had so much fun! I would highly recommend his services to anyone looking for a great photographer. I look forward to working with him again on our wedding day. My fiance and I were reluctant to have our photos taken as neither of us really enjoy the whole process. AJ made us feel really at ease and very relaxed. He captured our individual personalities perfectly in each picture and sought our input throughout the whole process. When we look back on our pictures they will always make us smile. Thanks again AJ! My fiance and I had a wonderful photoshoot with AJ Enns Photography! They were full of great ideas! They were so willing to incorporate our interests into the photoshoot. We got the photos in no time with a great photo slideshow included! I’ve looked at the pictures over and over, and I know I will continue to enjoy them. Thank you for making our engagement photos so special! I began researching Photographers in Mexico a year prior to our wedding date. We were having a destination wedding because we are very relaxed people and love the beach; but I was not willing to compromise on our wedding photographer. I instantly fell in love with Lincoln’s work after checking out the Moments That Matter website. The pictures just captured exactly what I was looking for on our special day. They weren’t your typical wedding pictures. Their photo’s conveyed an emotion that you didn’t see with others. We finally got married on May 7th at the Excellence Rivera Cancun. Lincoln and his assistant AJ were there to capture the day’s events and they both were absolutely fantastic. They were very fun, energetic and serious at the same time. They captured every detail of the entire day from me getting locked in my room before the wedding, to the chicken fights with our friends by the end of the night. Lincoln and AJ went above and beyond our expectations. They would hang upside in a tree if they could just to capture the right shot. My husband, friends and family all enjoyed the presence of them at the wedding; by the end of the night I felt that we had already been friends for years. Moments that Matters attention to detail and creative ability to capture the essence of each moment was exactly what we were looking for. I finally got the pictures back and I could not be more ecstatic. Take a look for yourself at our Facebook teasers through the link below! If you are undecided on whether to book Moments that Matter, trust me you will not be disappointed!!! They are fabulous!! Lincoln & AJ Thanks again for everything! My husband and I got married April 13, 2011 at the Gran Porto real, playa del carmen. I am not one who enjoys having pictures done or posing for pictures, but Lincoln and AJ definitely made it comfortable and enjoyable. They knew how to keep you focused even in the midst of Arguments and Drama. (yes Drama at the wedding) Lincoln and AJ are very good at communicating to you about what you want and came up with some very creative ideas for pictures. so even for us armature models we’d be able to get a few good pics in :) I am so grateful to the both of them for doing such an amazing job on the pictures and taking the time to pay attention to all the details. I’d definitely recommend them to everyone. Awesome job Lincoln and AJ!! The pictures are fabulous!! I can’t wait to see the rest! Thank you so much for capturing these memories for us! OK I wrote a review before I even got married just based on my communication with Lincoln, but now I am back from Mexico I can tell you that they exceeded my expectations. 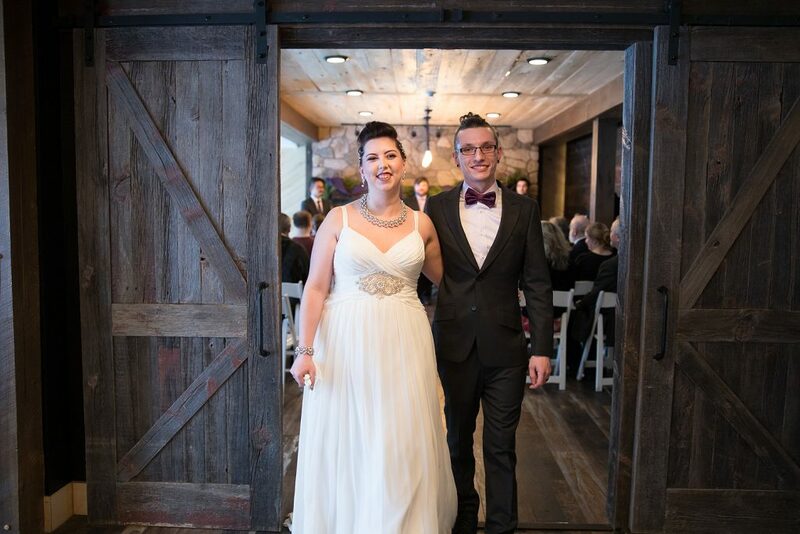 We just got married April 28th at The Royal in PDC, and everyone asked me after the wedding where I found my photographer. They all said they felt so at ease with them and they were absolutely great. My husband HATES getting his picture took, but from the moment he met Lincoln and AJ that just seemed to go away, I have never seen him so comfortable in front of a camera, and he told me it was because they guys made it that way. I have not received my pics yet, but I have saw some of the teaser pics and I am in love!!! I can’t get over the quality of the work. If you guys want amazing pictures to capture the most amazing day of your life, contact these guys, you will not be disappointed!!! Photography was one of the most important aspects for my wedding, I wanted amazing, carefree, candid photos (not all pose’s) and thats exactly what I got, and I can’t thank Lincoln and AJ enough. You guys have a real eye for this and the personality to match. I am so glad I chose you guys cause you made our wedding even more amazing. I can’t thank you enough, and it was a pleasure to work with you. Who knows if we are ever down there again, we might be in contact for another shoot!! I wish you and your company the best of luck (even though you don’t need it) in the future and I look forward to seeing the rest of my pics. Take care.